A bit of History: Italy as a country is younger than the United States - it has been unified only in the late 19th Century. Before the Italian Unification, there were lot of small, different States... each one with its Culinary Tradition! Italy as a nation has 20 Regions and countless cities and towns that still preserve their unique specialities and ingredients. 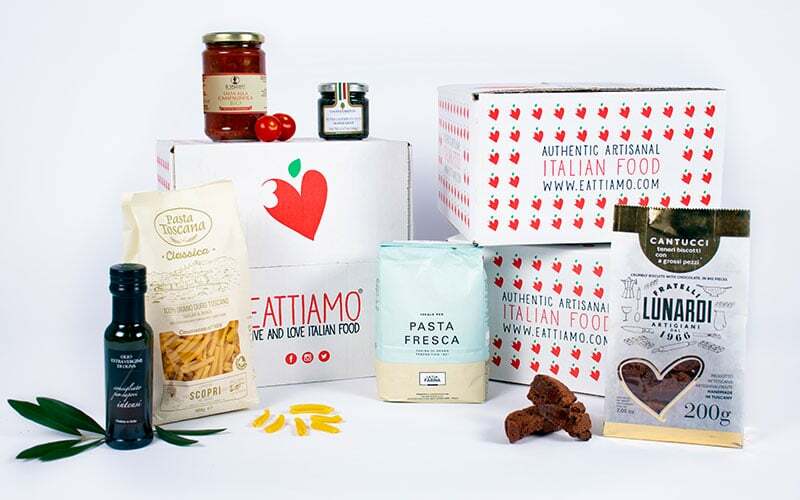 We could even say that there is no such thing as “Italian Food”. With so many distinct and gastronomically rich regions, there is “Tuscan food,” “Sicilian food,” “Venetian food,” and many more. Our beloved Pasta can be found everywhere but, depending on the region, one can find different typical Pasta dishes that comply with the different history, climate, ingredients, economy etc. of each Region. The United States coasts sneer at the Midwest, the Midwest complains about the coasts attitude problem and everyone makes fun of the South. The same thing happens in Italy: people in the North say that the Southern are lazy and noisy. People in the South say that the Northern are polenta-eaters obsessed with work. There are even two popular movies, "Welcome to the South" and "Welcome to the North" that revolve around the alleged difference between North and South. Food included. Because of historical traditions and different climate, harsher in the North and hotter in the South, there are important differences between the typical dish of the two part of Italy: the North, which is closer to mountains and countries such as Switzerland and Austria, loves the Land. Northern regions cuisine is butter based, rich in sauces, cheeses and cured meats. Rice has the founding role for many delightful dishes: risotto made from local grain is a common dish in Lombardy and Northern regions. It is in the North that the Parmesan cheese and the Prosciutto di Parma are produced. Pasta is much more common in the South, but in the North there's an abundance of Fresh-egg Pasta and Stuffed Pasta almost impossible to find in the typical Southern cuisine. Southern Italian cooking features the bright, lively Mediterranean taste that most people associate with Italian cuisine. While Northern Italy runs on butter, southern Italy makes the most of its abundance of Olive oil. 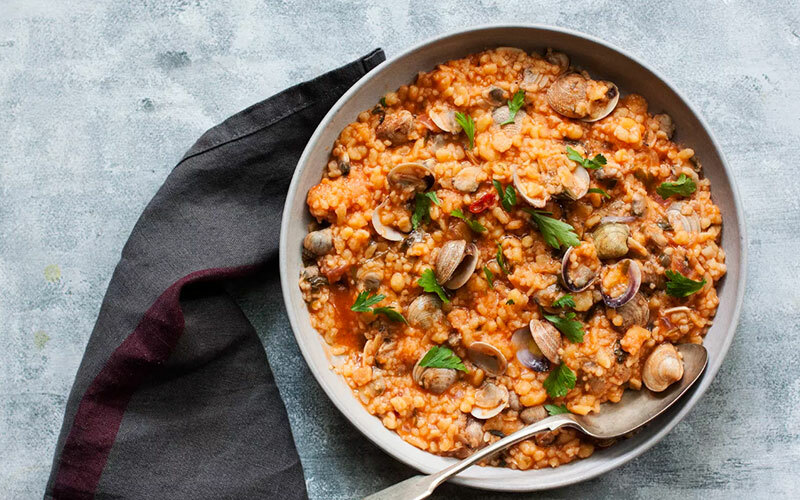 Peppers, eggplant and tomatoes thrive in the warm southern Italian climate, and they form the basis for some of the region’s most-beloved dishes. The boot of Italy stretches from the Alps to Africa and has a mountain backbone in the middle that prevented people living in the inner regions access to the coast. So together with a North vs. South divide, there is an even bigger culinary divide between the Mountains and the Coast. The internal Southern Italy regions have different types of vegetables, no fish and lot of meat, fresh or through a large variety of cold cuts. For instance, Molise is deeply in the South but almost entirely mountainous, except for a thin strip of coastline. This is reflected in the Cuisine, which is derived from inland farming traditions and largely based on seasonal crops, with pork is the meat of choice. Along the Coast , both in North and South Italy, seafood is a must. Even if Liguria and Tuscany are in the North, the closeness to the sea make them perfect for Olive cultivation. It's not by case that "alla ligure" (that is, "in the Ligurian Manner") is a way to serve Fish , cooked in the hoven with potatoes, cherry tomatoes and Olive Oil. The Italian History and Geography Lesson is finished. We can now talk about serious things such as Pasta! Here are a few examples of the most frequently seen Pasta dishes in each region of Italy. These are the best meals to cook to eat like a local even if you can’t travel to Italy! Val d'Aosta: the mountains and very cold winters results in the hearty cuisine of the Aosta Valley and, in the past, in the lack of wheat: for this reason the traditional Pasta Dish in Val d'Aosta is Fettuccine made with Chestnut Flour and seasoned with rich, dairy sauce with Fontina Cheese, a semisoft cow's cheese with a gentle buttery, nutty flavor. 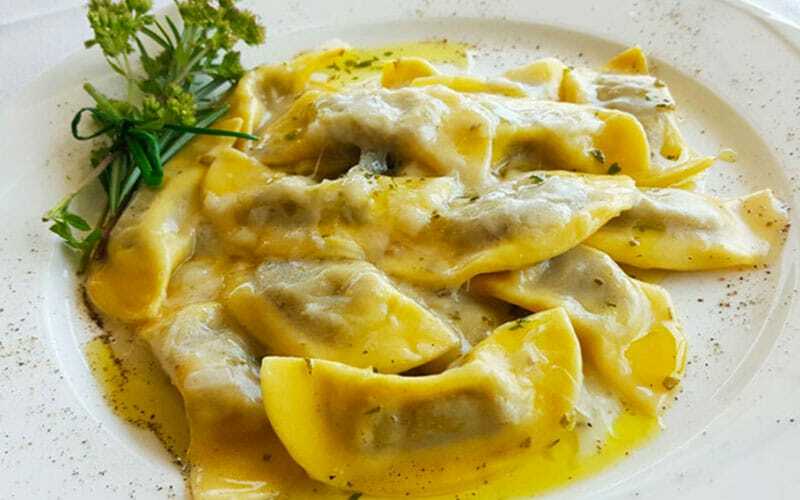 Piemonte: the traditional Pasta Dish in Piedmont are the famous Agnolotti del Plin, very small ravioli traditionally stuffed with veal and served with a meat-based ragu or butter and sage. 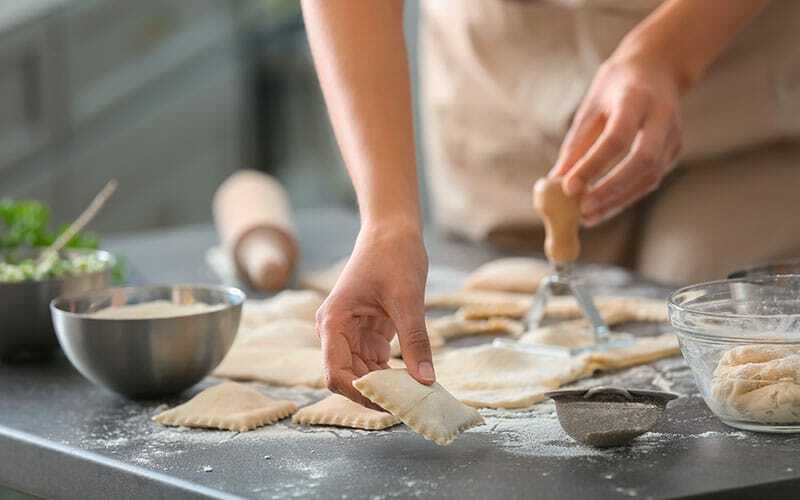 Lombardia: along with the Risotto alla milanese, flavoured with saffron, the typical Pasta dishes in Lombardia are the Casoncelli, half moon-shaped pasta stuffed with stuffed with a mixture of bread crumbs, parmesan, garlic, parsley, nutmeg and broth and seasoned with butter and sage. Trentino: Spaetzle are small pieces of dough cooked in simmering water. The ingredients are just flour, egg and water and are seasoned mostly with a bit of salt and nutmeg. Veneto: Bigoli in Salsa are the Venetian pasta dish par excellence. Bigoli are a type of thick, fresh spaghetti made just with two basic ingredients: whole wheat flour and water, seasoned with an anchovy sauce. Friuli Venezia Giulia: one of the most famous Pasta dish in Friuli is Lasagne - a long, fresh pasta - with Poppy seeds sauce. 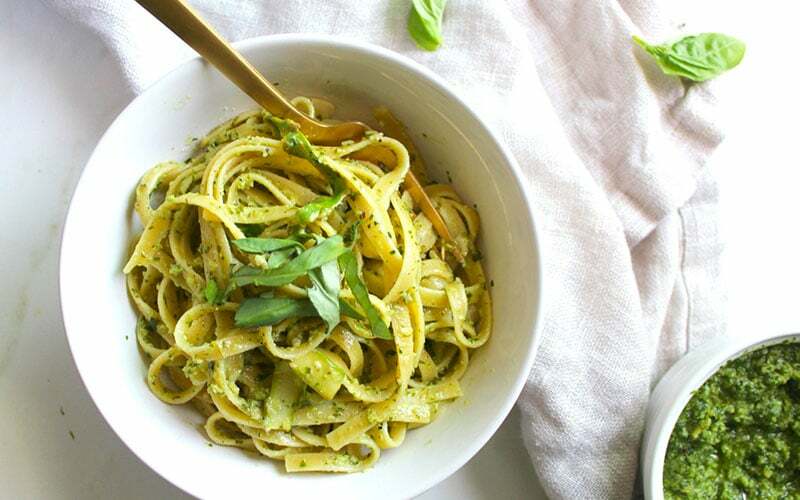 Liguria: Trofie Pesto Cream Sauce are the Ligurian Pasta: trofie are short, thin, twisted pasta. Emilia-Romagna: the home of Stuffed Pasta! Cappelletti in Brodo are a kind of stuffed pasta that is hand rolled and filled with a mix of beef, pork and chicken with some parmesan and nutmeg, normally served in Broth. The other traditional Pasta is Tagliatelle - long fresh pasta - with Ragu - tomato sauce with meat. Toscana: Tuscany most famous pasta are the Pici, thick homemade spaghetti, made just with flour and water, dressed with garlicy tomato sauce, and a generous sprinkling of grated pecorino. Umbria: the typical Pasta dish is Pasta alla Norcina, that is short Pasta (Penne or Rigatoni) seasoned with a Sausage and Cheese cream. Marche: Pappardelle - a large, long, fresh pasta - with wild boar sauce are largely known in the inland, while on the coast Spaghetti allo Scoglio (with mussels and clams) are the typical dish. Abruzzo: Maccheroni alla chitarra are quadrangular strips traditionally served with 4 meat ragu or a lamb and tomato sauce seasoned with Lamb ragù and sweet peppers. Lazio: Guanciale, cured meat product prepared from pork cheeks, is at the base of any Pasta dish in Lazio. Spaghetti alla carbonara are made with Guanciale, egg yolks and Pepper. Bucatini - a thick spaghetti-like pasta with a hole running through the center - are instead normally served "All'amatriciana", that is Guanciale with tomato sauce. Molise: Fusilli are a variety of pasta that are formed into corkscrew or helical shapes typical of Molise, where they are traditionally served with Lamb Ragù. Campania: the region of Gragnano Pasta. 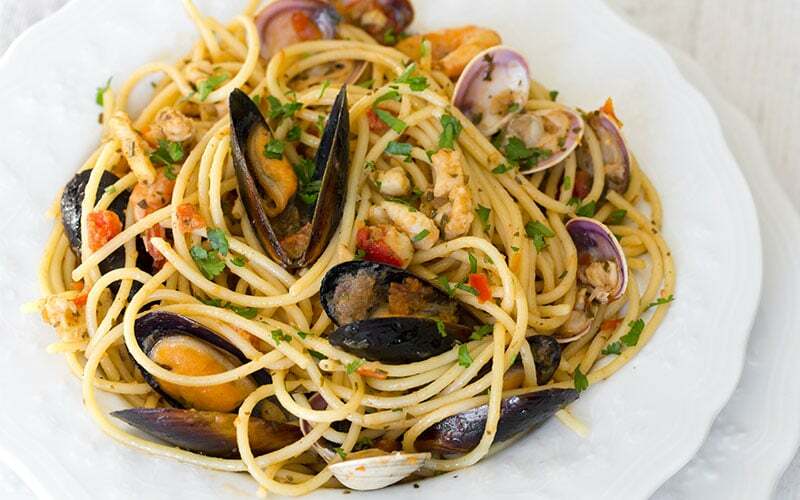 Among the most typical and well known pasta dishes from this region is Spaghetti con le vongole: pasta is tossed with tiny, delicious clams found in the city’s bay called "vongole veraci". Puglia: Orecchiette alle cime di rapa are the typical Pasta dish: because of its shape, orecchiette literally means "little ears". They are usually seasoned with a Broccoli Rabe sauce. Calabria: Spaghetti with Anchovies and Breadcrumbs is one of the most famous dish. It is a traditional dish served on St. Joseph's Day. 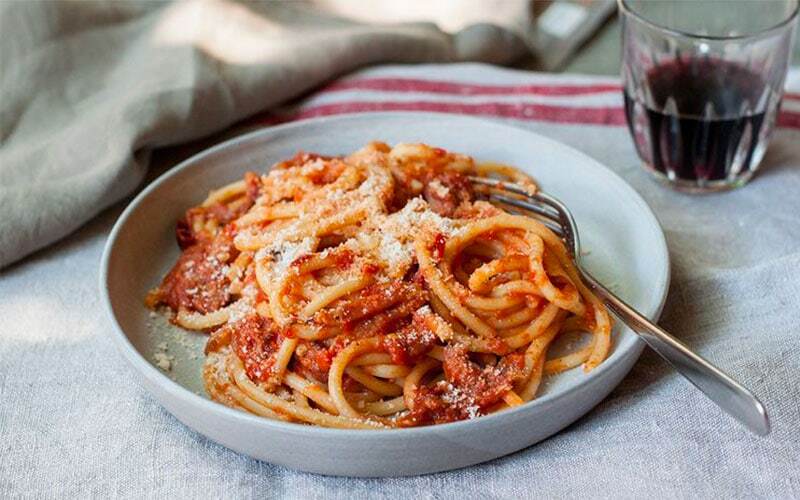 Another typical Pasta Sauce is 'Nduja a particularly spicy, spreadable pork salumi that can be added to tomato sauce for a really Calabrian-flavored pasta. Sicily: Pasta alla Norma is one of the most well known Italian pasta dishes. The original recipe is made with Macaroni (typical italian pasta), tomatoes, fried eggplant, grated ricotta salata cheese, and basil. Sardegna: Fregola sarda can be considered as “the Italian answer to the Arabic cous cous”. It is a durum wheat pasta very similar to cous cous in regards to shape and preparation, even if the round grains are larger. It is normally served with Clams and Seafood .